Entertainment, communication, businesses and education have benefited greatly from the internet. There is so much that we can do online, that it is difficult to imagine our lives without this technology. Every day, new content, services and opportunities appear on the internet, but unfortunately, censorship and geographical blocks prevent many people from taking full advantage of everything that is on offer. But there is a way to enjoy freedom to access all the websites, applications and content that you want, regardless of your location. The solution is using a VPN and with a service like UnblockVPN, you will be able to bypass restrictions and enjoy true online freedom. 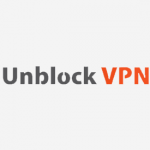 UnblockVPN is a Czech provider that has been in the industry since 2009 and apart from being an effective solution to defeat censorship and other restrictions, it strives to offer strong security. In the competitive world of VPNs, UnblockVPN has earned the trust from hundreds of thousands of customers around the world thanks to its affordability and reliability. Here is more about UnblockVPN. There are many threats to privacy nowadays and our personal information could be compromised, specially when we connect to internet using public Wi-Fi hotspots. While using free WiFi at an airport, hotel or coffee shop can be very practical, these networks are vulnerable and when you use them, your data could be intercepted by malicious users around you. UnblockVPN understands the importance of adding a strong layer of protection for your privacy and in order to secure your connection, the provider offers multiple protocols and strong security. OpenVPN, SSTP, L2TP/IPSec and PPTP are supported and for each of them, UnblockVPN applies a level of encryption that will help to defend your data against eavesdropping and cybercrime. For PPTP, 128-bit MMPE encryption is used, but it is important to keep in mind that PPTP is a weak option and should only be used when other protocols are not available, or when you are only using internet for general browsing and don’t feel too concerned about security and privacy. For L2TP/IPSec, UnblockVPN uses AES 128-bit and AES 256-bit, which is quite strong. SSTP also offers great protection thanks to the TLS/SSL layer. However, if you want the highest level of security, the best option is OpenVPN. For this reliable protocol, UnblockVPN uses AES 256-bit encryption, which provides top security and will keep your online traffic safe, even if you are using public Wi-Fi hotspots. As the name suggests, UnblockVPN is designed to help you get access to content that is not available in your location due to censorship, or geographical restrictions. You will have freedom to access popular applications and websites like Skype, YouTube and Facebook. It is also suitable for unblocking content from streaming services like Hulu, BBC iPlayer and Netflix. Since they offer unlimited bandwidth and an efficient network of servers, you will be able to stream content and use VoIP services without any problems. There are dedicated apps for Windows and Mac, which means that you can easily install and run the VPN on your computer within a few minutes. It is also possible to enjoy the benefits of UnblockVPN on Linux, Android, iOS, routers and more. You will find detailed guides that will take you through every step of the set up process for these platforms. The VPN service is easy to use and it is a great option for people who are usually on the go. With UnblockVPN, you can get access to your favorite content from anywhere and keep your privacy secure when you use public Wi-Fi hotspots. You can connect to servers in Czech Republic, United Kingdom, Netherlands, United States, Israel, Sweden, Slovakia and Germany. You can switch between servers as often as needed and P2P is allowed, but only in the server located in Sweden. You get real public IPs, not shared ones and depending on your needs, you can choose between Dynamic IP or Dedicated IP. If you select the Dynamic IP option, you can connect up to three devices. UnblockVPN offers plans that cater for different needs. You can start with the free trial, which allows you to use the service for up to 3 days. You get access to all the features that the UnblockVPN provides, including unlimited server switching, dynamic IP addresses and top encryption for your traffic. If you decide that UnblockVPN is the best option for you, there are two paid plans that you can choose from. The first option gives you a dynamic IPs, which are changed regularly. This is an ideal solution to bypass restrictions and to keep your privacy protected. The Dynamic IP plan costs $4.99 per month, or just $4.08 per month, if you opt for the yearly plan. If you prefer a dedicated/static IP, there is also an option available to ensure that you always get the same IP address. A dedicated IP is ideal for users who need to get remote access to their computers and it allows you to setup WEB, FTP, Game servers and more. The Dedicated IP plan costs $9.99 per month, but if you pay in advance for one year, you get a great discount that reduces the price per month to $8.25. There are multiple payment methods supported including Cards, PayPal, Webmoney and Skrill. UnblockVPN also has a reseller program that offers the opportunity of purchasing accounts at a discounted price, so that you can sell them on your own website. One of the reasons why UnblockVPN has a loyal customer base is that fact that it offers excellent customer support. The website includes helpful information about the service, FAQ and a live chat. You can also contact them via email at any time and if needed, they offer remote support. It is clear that UnblockVPN aims to keep its customers happy and to offer help with any query that may arise. 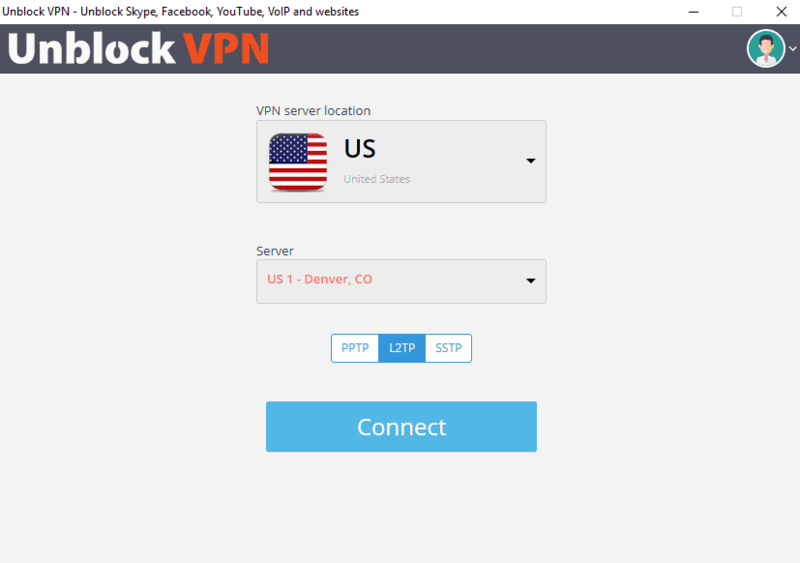 If you are looking for reliable customer support, flexibility to access the content that you want and protection for your privacy, specially when you are using public Wi-Fi hotpots, UnblockVPN is a good option to consider. While the global coverage is not as extensive as what other providers offer, they have servers in locations that will help you to bypass censorship and get access to some of the most popular streaming services in the world. UnblockVPN has solid experience in the industry and it delivers excellent customer service.